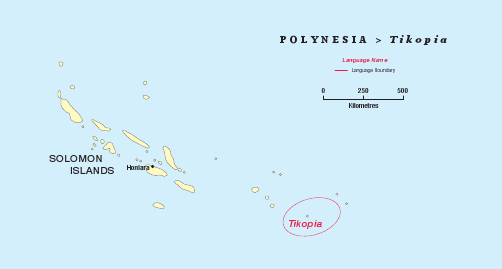 Tikopia is a Polynesian language in the Solomon Islands. The island (pop. 3,500) is known in the Solomons for its strong chiefly system. On the island only the Church of Melanesia has churches. Tikopians have also settled in a number of colonies on other islands in the Solomons, especially on Makira, Russell and Vanikolo. In 1984 some Tikopians attended a Bible translation workshop organised by the Bible Society. When it appeared that no ongoing work had resulted from this effort, Nico and Pam Daams, who were already working in the Solomon Islands with another Polynesian language group, contacted the COM bishop of the Temotu Diocese to see if they could assist with this project. The bishop appointed two translators, and these began to translate under the supervision of Nico Daams. After some weeks, only one translator continued, and in about 6 years he completed most of the Tikopian New Testament in first draft. Despite a number of efforts to get feedback from the general population, this failed, and in 1990 the project was put on hold. All the translated materials were available in small numbers to the various Tikopian communities. In 2005 Nico and Pam received an email from the Tikopian ACOM priests on Tikopia to please come and help them complete the NT. Nico made two trips out to Tikopia, and two review committees were set up on Tikopia, and also a translation committee to be in charge of translating the remaining books. In 2013 the Anglican bishop of the Temotu Diocese has appointed Fr Walter Tamasia, a young Tikopian priest, to be the translation coordinator for the Tikopia project. During a recent trip to a Tikopian community, it turned out that a committee has been reviewing the translation steadily and is moving ahead. It is very encouraging to see this commitment on the part of the community, and an important step towards the completion of the New Testament in the Tikopia language. 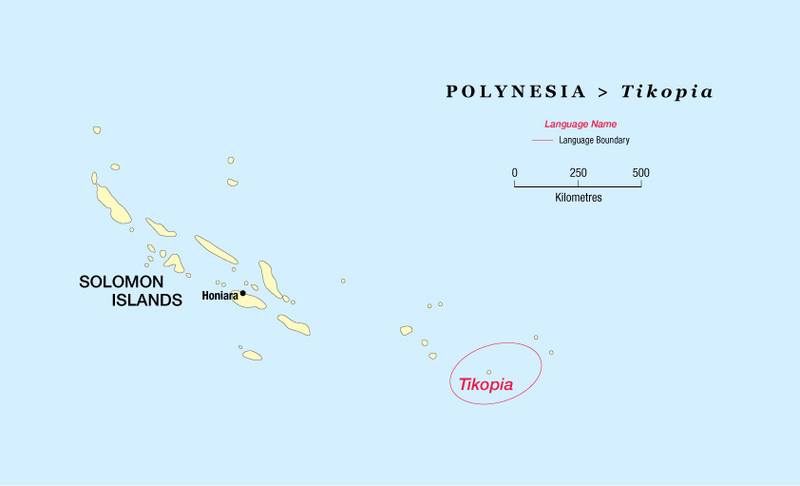 Most of the Tikopia NT was translated 30 years ago, so it will need a very thorough review before it can be published. One of the reviewers, Nathan Nukusauma, is taking translated books to different Tikopia communities spread over the Solomon Islands, to review the translation together with them. With blackboard-and-chalk and state-of-the-art software, the translation is much improved through this painstaking process. Where can Bible translators from the Pacific get (advanced) training in Bible, theology and translation? This year, three members of the Isles of the sea team are able to do a Certificate in Biblical Studies in the Solomon Islands. The first semester is just finished.